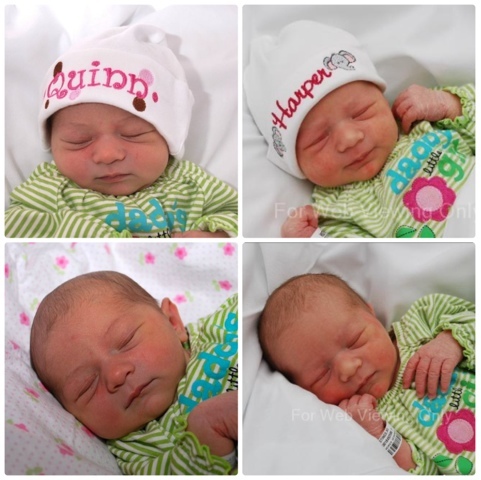 When Harper was born I literally thought I had given birth to Quinn all over again. They looked identical! Harper is a little more blonde than her sister but after a week she is actually starting to look a little different! Crazy how babies change so much. I remember those days...so precious. Congrats momma!